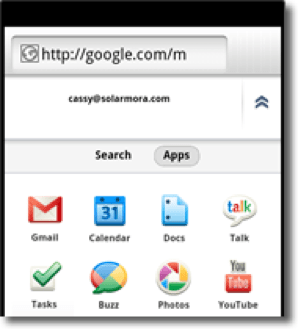 Most Android phones have mobile versions of Gmail, Calendar, Contacts, and Google Talk pre-installed. You can download other mobile apps like Docs for free from Android’s Market. To begin using these apps, follow these steps to add the account to your phone; remember when asked to enter your email you must enter your FIT email address with the @fitnyc.edu. You can also access your apps from your Android’s browser app. Just point the browser to m.google.com, touch the app you want to use, and sign in to your G Suite account. Remember when asked to enter your email you must enter your FIT email address with the @fitnyc.edu. What other G Suite apps can you use on your Android? Visit Google’s Android Help Center. ‹ NJ TRANSIT Student Pass	› How do I Configure my Windows Phone to Receive FIT Email?